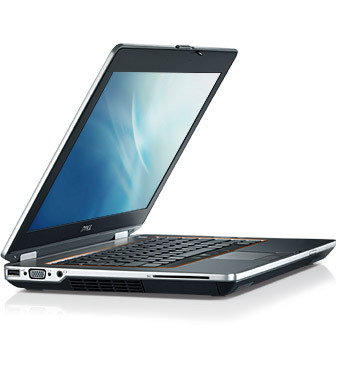 This 3rd generation Dell E6430s i5-3320M 2.6GHz is a surprisingly fast and versatile laptop. 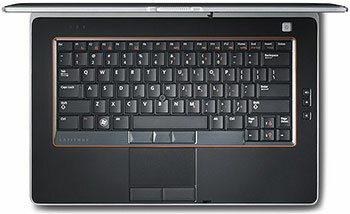 4GB Ram and a 320GB hard drive for storage this laptop has the complete package for business or home use. Includes a DVDRW, Webcam and has all the tools you need to complete video conferencing , voice chat , Skype and more ! Offering just the right balance between performance and mobility, the business-rugged Dell™ Latitude™ E6430 is ideal for office-to-home professionals who are producing on the go. 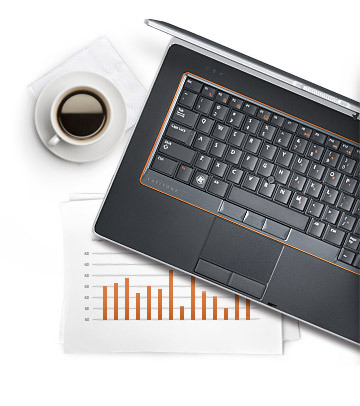 Equipped with a 14”display, the Latitude E6430 strikes the perfect balance of mobility, performance, and durability. absorber, Fast Response Free-Fall Sensor, and rubber hard drive isolation help protect data from drops and vibration, while the spill-resistant keyboard and LCD protective seal further help protect the system from bumps and spills. 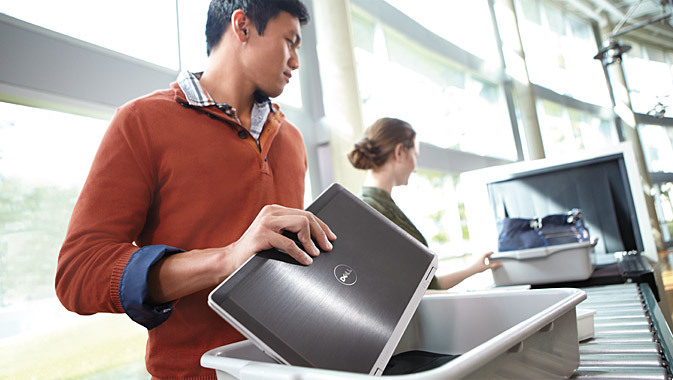 Dell’s new generation of Latitude E-family laptops are the most environmentally-responsible Latitude laptops ever. All systems are BFR/PVC-free1 and offer recyclable packaging and highly efficient power adapters. 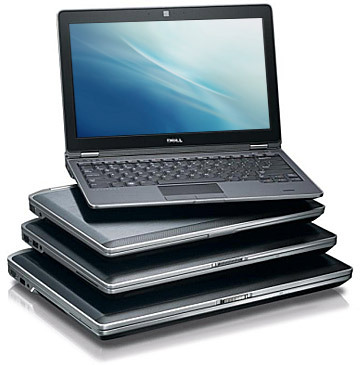 The Dell Latitude E6430 delivers ultimate performance in a highly mobile package. Power through the work day with the latest Intel® i7 Quad Core™ processor option, high-bandwidth DDR3 memory and Intel® HD graphics or 1GB NVIDIA discrete graphics. Long battery life and 4- and 6-cell ExpressCharge™ battery options help users stay productive2 , while Intel Rapid Start and Intel Smart Connect get them up and going fast as they travel from site to site. Designed for on-the-go collaboration, the Latitude E6430 enables users to connect with colleagues from virtually anywhere with a high-performing antenna and the latest wireless and mobile broadband options. The optional built-in HD webcam, array microphones and Microsoft Unified Communications help provide optimal video conferencing. The Latitude E6430 180 degree LCD movement and optional backlit keyboard enable users to work comfortably even in low-light environments, while E-port docking solutions allow seamless transition to full desktop productivity while in the office. Manage and maintain your Latitude E6430 with ease with the latest Intel® vPro systems management iAMT 8.x, which helps deliver seamless out-of-band management. Dell‘s remote BIOS management offers efficient remote-control over firmware settings. Minimize stocked parts with one common dock, AC adapter and accessories across the E-family line, and easily share optical drives, hard drives and batteries between select laptops. Upgrade or service key components conveniently via a single access door, now with fewer screws. Confidently safeguard data with Dell Data Protection software3, Trusted Platform Module (TPM)4, encrypted hard drive options4, and contactless smart card and fingerprint reader login access options. Strengthen security with port control options, physical hardware lock, and optional tracking and recovery services. Dell Latitude long lifecycles, managed transitions, and ImageWatch™ advance look at software and hardware changes help ensure long-term stability so you can easily plan for the future. And, of course, the Latitude E6430 is backed by a wide range of global services and support. Customize Dell ProSupport5 for your specific needs, and simplify deployment with Dell Deployment Services, Configuration Services, and Dell ImageDirect™. Enjoy seamless integration into your IT environment and rest easy knowing that Latitude E-Family laptops — and your company data — are secure and protected anywhere in the world. Know your data is secure with Dell’s Data Protection Encryption and encrypted hard drive options. Protect your data from the unexpected mishaps with Dell Fast Response Free-Fall Sensor and StrikeZone™. Control who has access to your data with Dell ControlVault™, Dell Data Protection Access, contactless smart card and fingerprint reader login access options.